A puppy's coat requires gentle care. 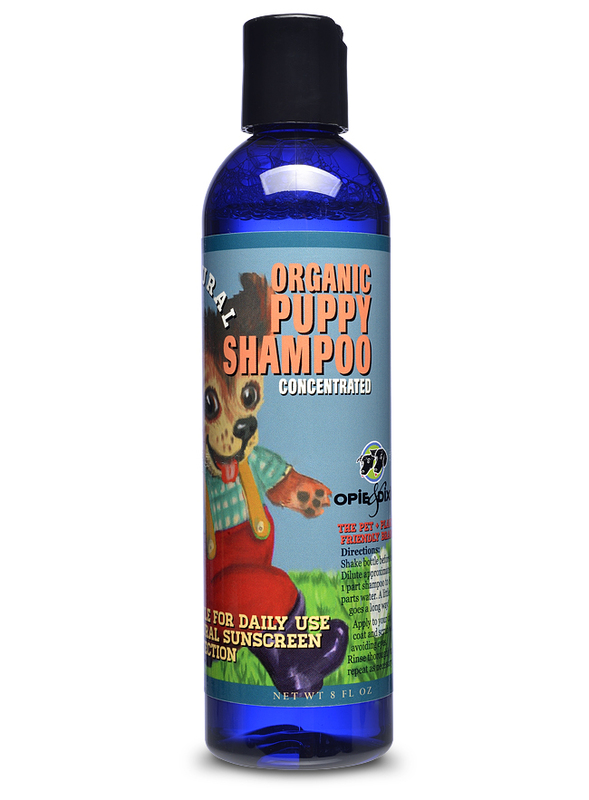 Our puppy shampoo provides the perfect mix of gentle ingredients and a delicate scent. Purified Glacier Water, Herbal Blend of *Lavender, *Chamomile, *Rosehip, *Calendula Flowers, *Burdock, *Safflower Oil, *Grapeskin Extract, *Rosemary, Certified Biodynamic Avocado Oil, Certified Biodynamic Macadamia Oil, *Lotus Bean, Australian Bush Kakadu Plum Extract; Decyl Glucose, Coco Polyglucose [natural potato and coconut oil-based surfactant], Oatmeal Protein, Coconut Oil, Yarrow & Comfrey Extracts, *Chamomile Extract, *Hops Extract, *Fennel Oil, *Lavender Oil, Almond Oil, *Grapefruit Extract, Vitamins A, C, & E, Olive Leaf, Salt, Blueberry Extracts, Canadian Wildcrafted Red Clover. Wet your puppy well. Dilute 1 part shampoo to 2 parts water as desired and apply enough shampoo to create a gentle lather. Massage shampoo deeply into the fur. Rinse thoroughly. Send your puppy off on his or her merry way, looking, feeling and smelling clean and fresh, like a puppy should!